Nobody doubts that President Barack Obama has a lot on his plate, what with two wars, a credit crisis, a failing health-care system, a collapsing auto industry and much more demanding his attention. When he welcomes Palestinian Authority President Mahmoud Abbas to the White House on Thursday, however, Obama will be forced to grapple with one of the more bizarre responsibilities bequeathed him by the Bush Administration: that of micromanaging the Palestinian Authority. With U.S. tutelage arguably having gotten him into such a dismal political situation, Abbas will expect Obama to answer tough questions. Abbas became President with U.S. backing after Yasser Arafat died, and the Bush Administration arranged a few photo opportunities with then Israeli Premier Ariel Sharon in order to create the impression of a peace process. 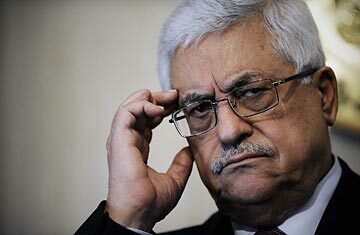 But Washington also insisted that Abbas proceed with the legislative election scheduled for January 2006, despite the Palestinian leader's misgivings. Abbas' doubts were well founded. He had read the mood of his people more accurately than the Bush Administration had. Frustrated at the failure of more than a decade of negotiation with Israel to end the occupation, voters gave Hamas a landslide victory. The Bush Administration then made things more complicated for him. Having championed the primacy of the government chosen by the elected parliament when Arafat was alive, Washington now demanded that Abbas reclaim for the presidency the control over finances and security forces for which it had so sharply criticized Arafat. And when Abbas agreed to enter a Saudi-brokered unity government with Hamas, the Bush Administration pressured him to walk away. With Washington the key to delivering Israeli agreement on a two-state solution, Abbas saw little alternative but to do what the Americans asked of him. But the U.S. and Israel declined to give him the concessions necessary to validate his choices in Palestinian eyes, resulting in Abbas' losing even more ground to Hamas over the past two years. The Obama Administration knows that a plausible peace process depends on Abbas' restoring his political mandate, which will require agreement between Fatah and Hamas on a new government and the holding of new elections by next January. But the current Israeli government is resistant to implementing a two-state solution, and it will refuse to deal with a Palestinian government that includes Hamas. Administration officials have made clear that they expect Abbas to immediately enter unconditional talks with Netanyahu, though there isn't all that much to talk about  not only because Netanyahu is significantly more hawkish than his predecessor, but also because the parameters of such a solution are already well established. Such noncommittal talks would do little to advance any peace process, but they would damage whatever credibility Abbas retains in Palestinian eyes. The Administration would also like Abbas  or Fayyad  to continue building up the Palestinian Authority's administrative and security capacity in the West Bank. But absent progress toward ending the occupation, that too risks further weakening Abbas. Indeed, the frustration of Fatah's membership with its leader, and the continued siege of Hamas-controlled Gaza, raises the prospect that both major Palestinian organizations, Hamas and Fatah, may decide to signal their opposition to Abbas and Fayyad by renewing attacks on Israelis. Obama could also seek to head off the danger of renewed confrontation by urging Abbas to go ahead with holding the long-delayed internal Fatah congress and preparing for elections next year. But both events run the risk of further weakening the power of Abbas and the government on which the U.S. has placed its hopes, because as much as peace needs a Palestinian national consensus, that consensus is likely to be far less pliant toward the U.S. and Israel than Abbas has been. During Netanyahu's visit, Obama acquainted himself with the reality that dealing with the Israeli side of the two-state peace equation will not be easy. When he meets with Abbas this week, he'll be reminded that the Palestinian side of the equation will be just as difficult.